It is ideal for action, available light and general purpose photography. It can be processed in a wide range of developers, and is suitable for push processing. It may be pushed up to an E.I. of 3200, using Microphen or Ilfotec HC developers. item 2 Ilford HP5 Plus 35mm 36 Exp B+W Film Pack of 10 Arista EDU 400. 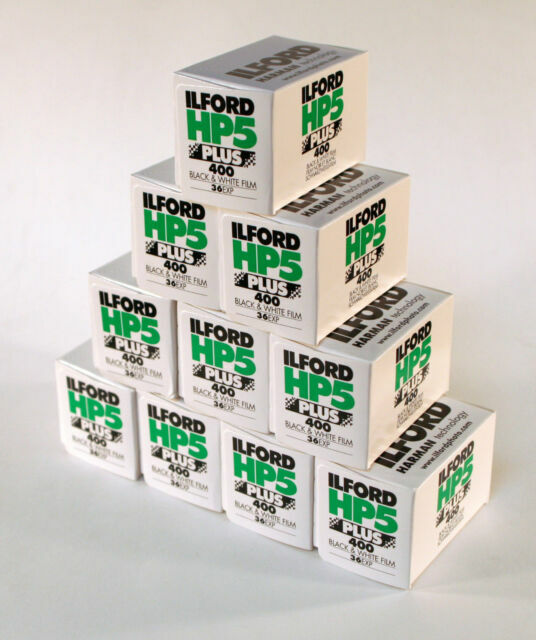 -Ilford HP5 Plus 35mm 36 Exp B+W Film Pack of 10 Arista EDU 400.